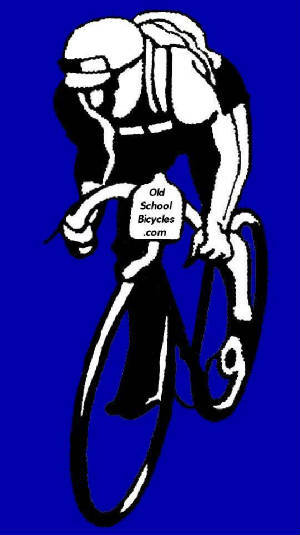 Welcome to Old School Bicycles! If you enjoy the classic style of hand made vintage lightweight bicycles from the 30's through the 70's, you are in the right place. The purpose of this site is to create an archive of photos and information on vintage lightweight bicycles. It will focus mostly on British and French machines. Whether you are into ornate hand cut lugs on a British club racer or loaded touring on a demontable, you are sure to find something of interest here. I will be adding many items to this site as time allows. If you have any photos or information of interest please share them and I will do the best I can to include them on this site. Please check back often to see how things are progressing. The images and text found in this web site have been submitted and gathered by many contributors from many sources. They are presented in a not-for-profit setting to allow as many as possible the opportunity to appreciate and learn about these magnificent machines and their creators. Any materials which could be potentially seen as purported infringement will be removed immediately once brought to my attention. Please support The Bicycle Quarterly! If you like this website, you will love this magazine! Click the link below to go to their website.